Bears are highly curious, smart and resourceful. They spend most of their waking hours industriously searching for food. Part of your job as a responsible homeowner is keeping them from finding any at your place. Living with Bears Handbook shows you how to live safely and smartly where bears live too. The companion Bear Smart pocket guide, Living in Bear Country, is ideal for quick reference (and giving to your neighbors!). "I learned right away what was attracting bears to our yard. I also learned not to be so very afraid as I gained a tremendous amount of info about bear behavior and what to do if I encounter one outside or inside." Is a bear at your house right now? In case of an emergency, call 911. For non-emergencies, contact your state wildlife management agency. 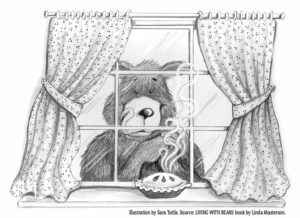 If you live in bear country part time, it can be tough to remember to “think like a bear” every time you head back home. But bears don’t have second homes. Taking time to be bear smart and posting information for guests and renters can prevent problems and protect your home and property. • Odors of all types attract bears. Take all food, garbage, trash, empty bottles and cans, packaging and recyclables with you. Don’t leave insect repellents, citronella candles or other scented products outside. Black bears are always looking for food. Their super-sensitive noses can sniff out odors from up to five miles away. 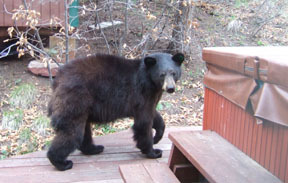 Things we humans don't consider food like smelly trash, pet food, birdseed and hot tub covers smell good to a bear. Chickens, beehives and ripening fruits and vegetables are also highly appealing. Once a bear learns that human places provide an endless supply of high-calorie foods, it will keep coming back for more. 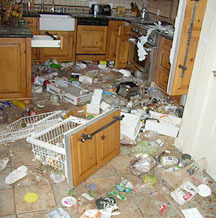 Bears determinedly searching for food can easily damage property or even injure someone. That's why thousands of black bears needlessly lose their lives each year. 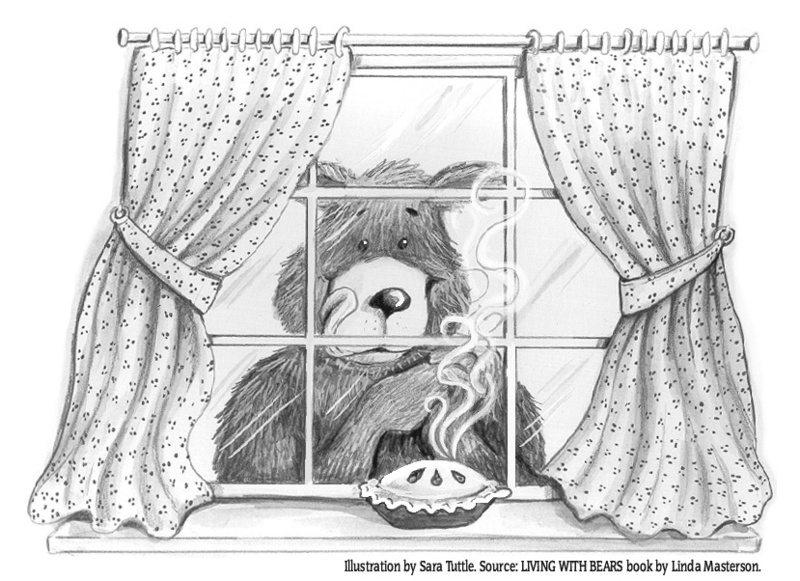 If people food is readily available, it’s just a matter of time before a bear comes exploring. If the bear has a positive experience (getting a food reward) without any negative consequences (being yelled at and chased off), it will try for what its enterprising bear-brain thinks might be an even bigger and better reward. People tend to ignore these early stages of conflict, hoping the bear will eventually move on, or rationalizing that losing a bag of garbage or the occasional feeder full of bird seed isn’t so bad. But ignoring a bear’s activity encourages it not only to continue, but to escalate. 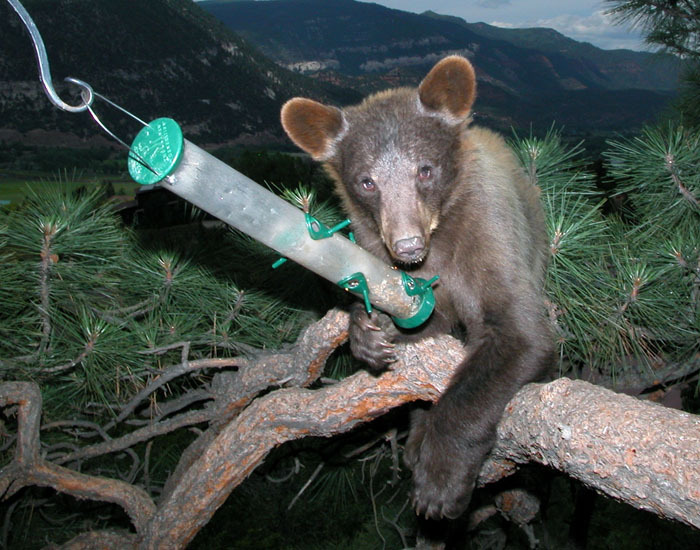 An electric fence has the power to keep bears out of landfills, apiaries, cabins, campsites, campers, livestock enclosures, grain sheds and just about anywhere else you don't want bears to go. 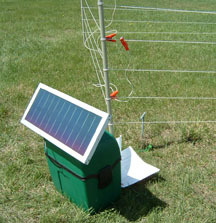 Portable electric fences can be set up and functional in less than two hours, and solar-powered systems can be installed anywhere there's enough sun to charge the batteries. There are even lightweight, battery-powered fences that can protect a campsite. 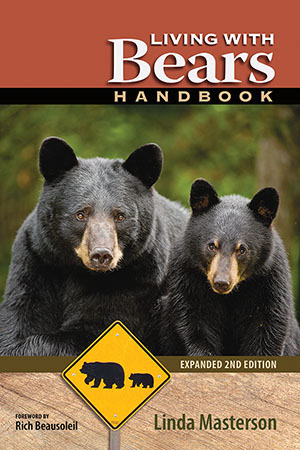 Find more info in the Living With Bears Handbook. From huckleberries and acorns to beehives, birdseed and dog food, a list of calories that bears love to eat. A step-by-step journey from wary beginning to untimely end.